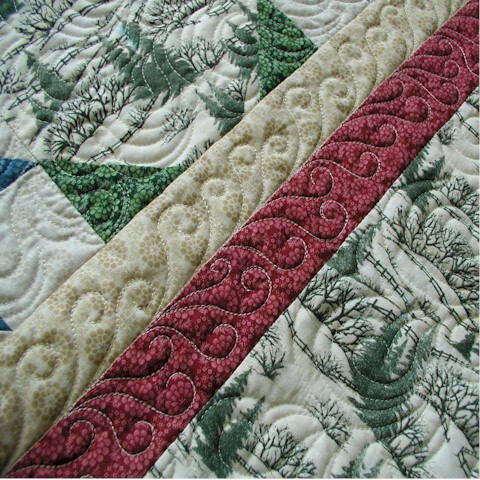 Hello Friends, I noticed the weather has gotten just a tad cooler and cozier at my end! 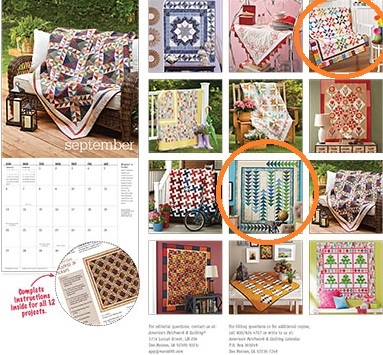 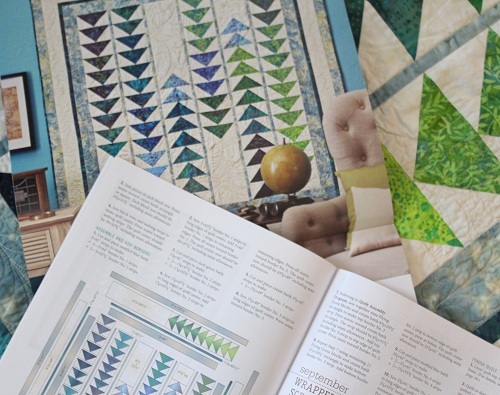 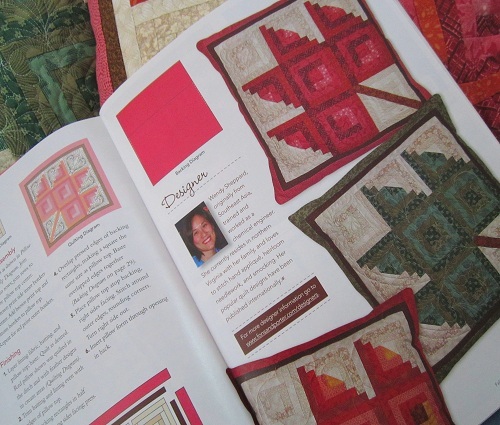 I have just the cozy project to share with you to usher in the cool weather — my Log Cabin Leaves Quilted Pillows, recently featured in Fons and Porter‘s Easy Quilts, Fall 2012. 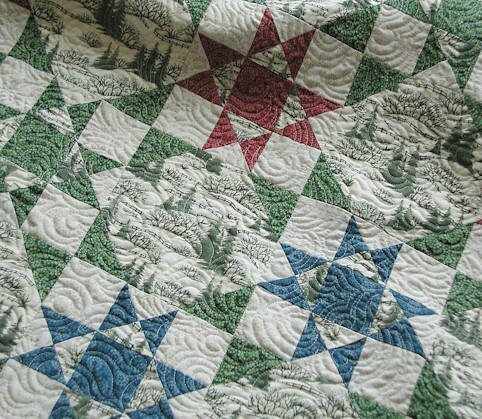 The Log Cabin blocks always convey the feeling of coziness to me. 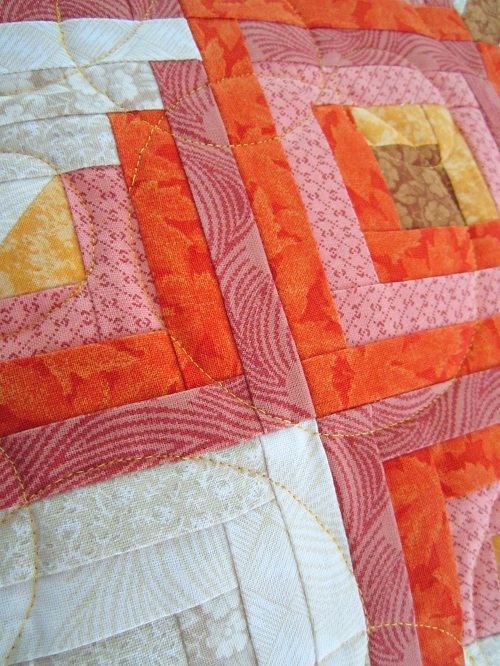 So I decided to incorporate the Log Cabin concept in a cozy project for the autumn. 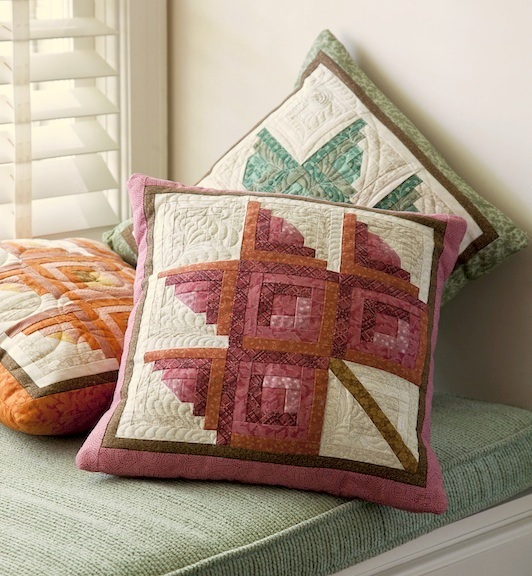 My thought in designing these pillows is that these pillows would make quick and easy gifts as well as seasonal accents for the fall. 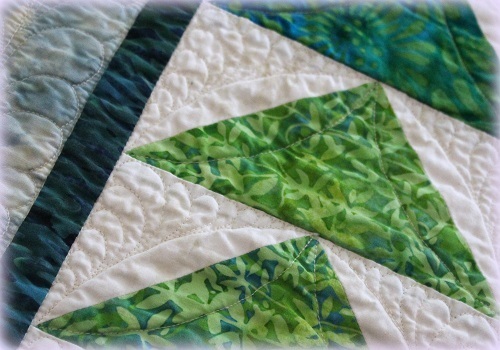 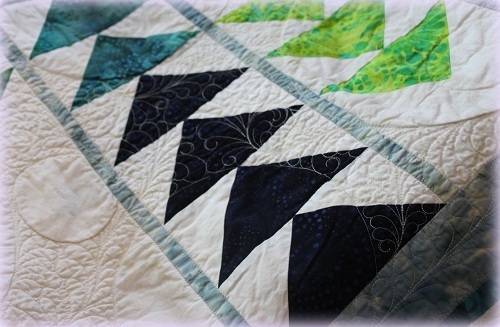 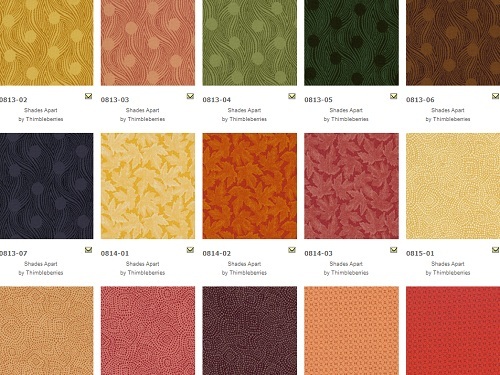 The fabrics I used are from Thimbleberries’ Shades Apart collection, released by RJR. 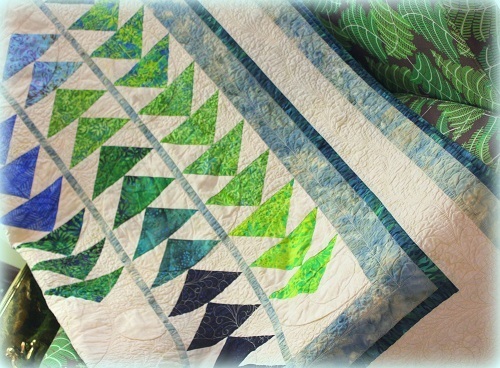 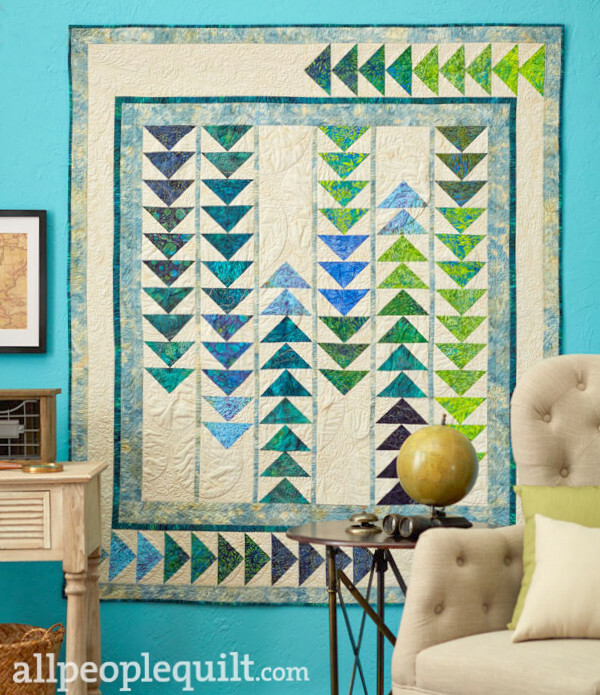 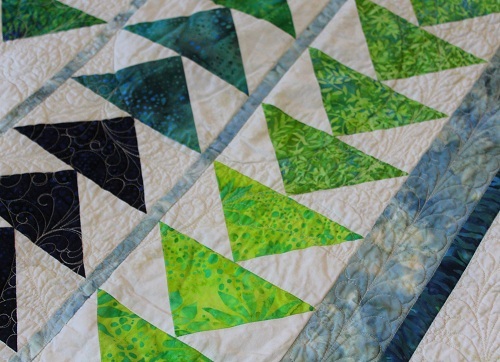 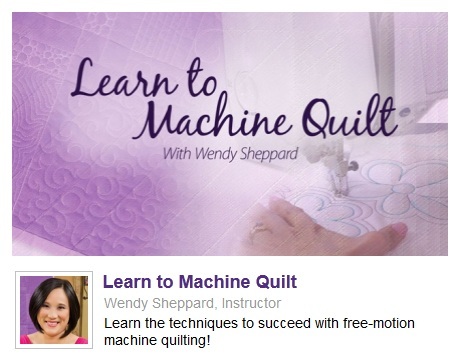 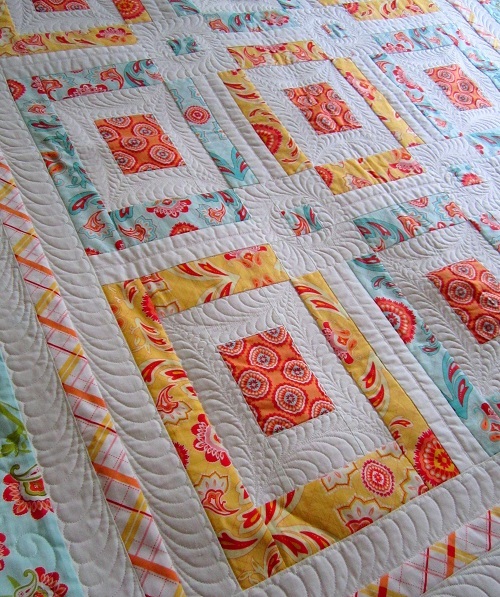 This collection has lots and lots of fabrics that will delight quilters! 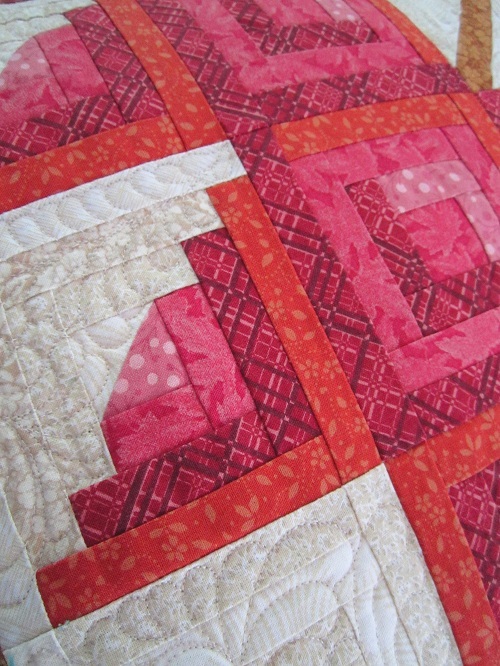 Nonetheless, as you know, all Log Cabin blocks are highly conducive in using up any scraps as well. 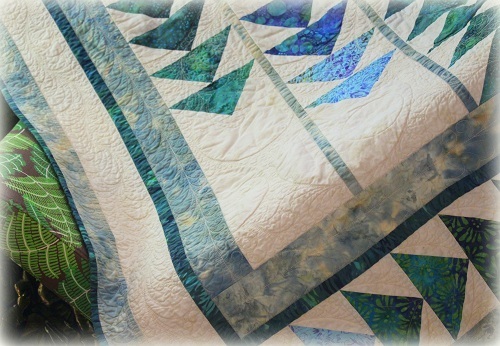 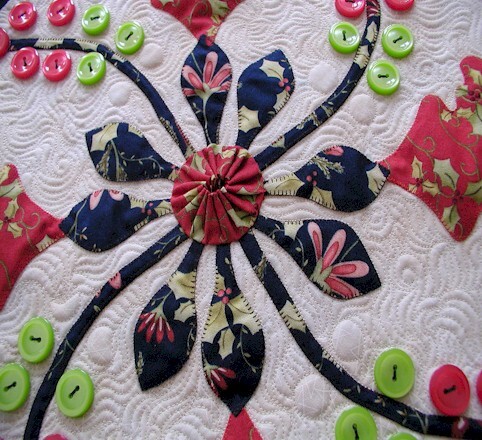 I went ahead and constructed the pillow tops as I would quilts, i.e., I pieced the pillow tops, and actually quilted them with Aurifil Mako 50 Cotton thread over Hobbs Tuscany Silk batting. 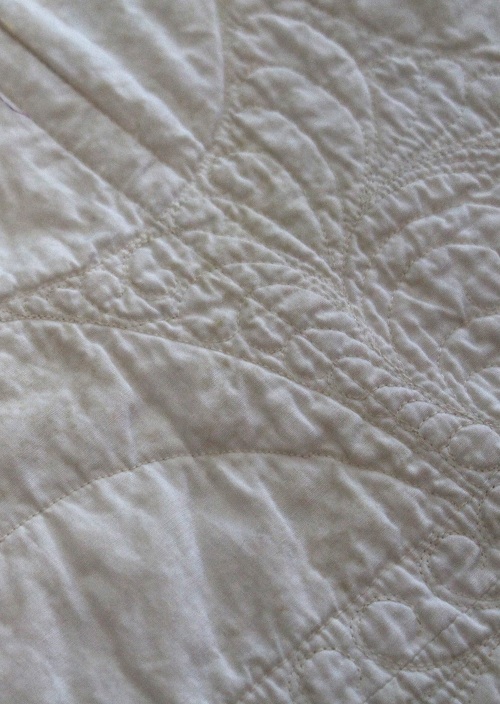 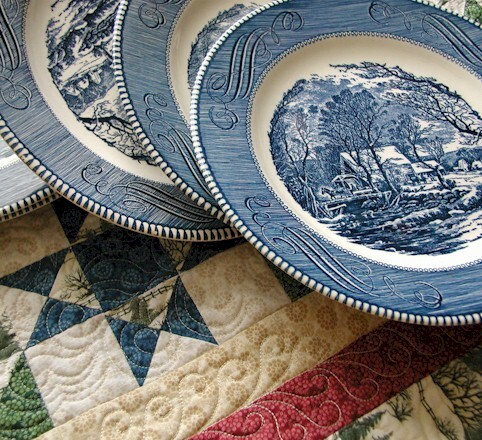 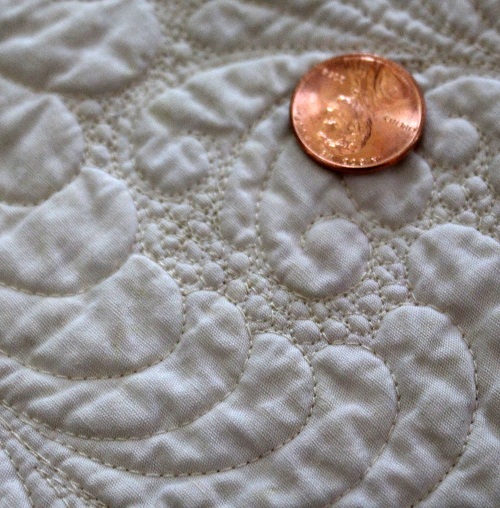 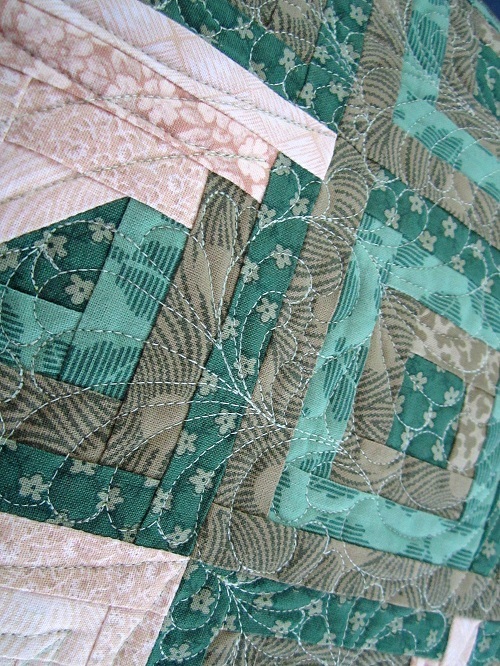 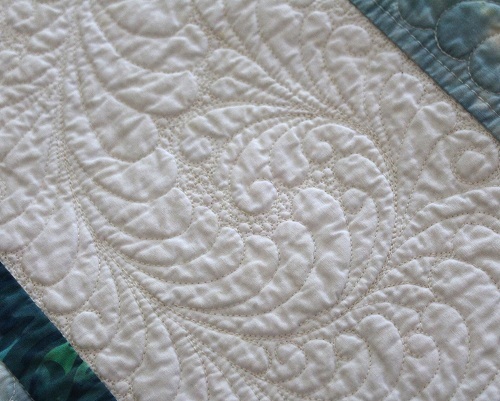 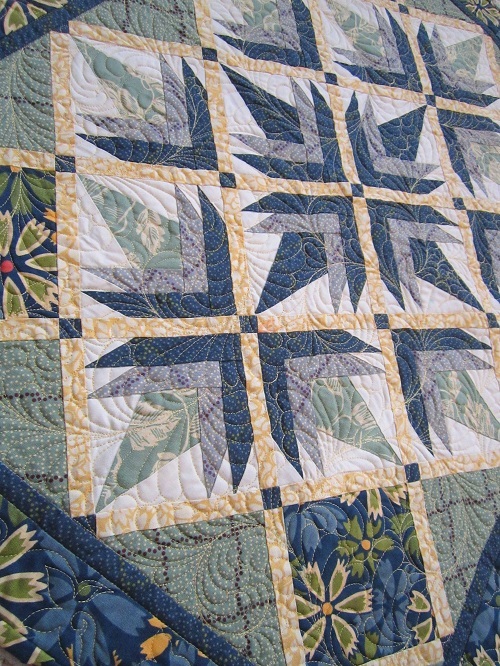 Each pillow top was quilted differently. 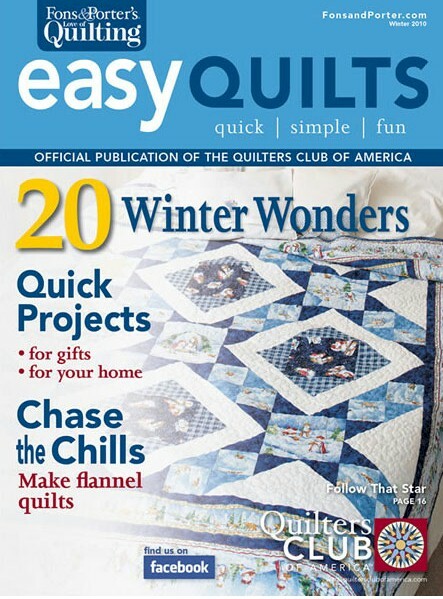 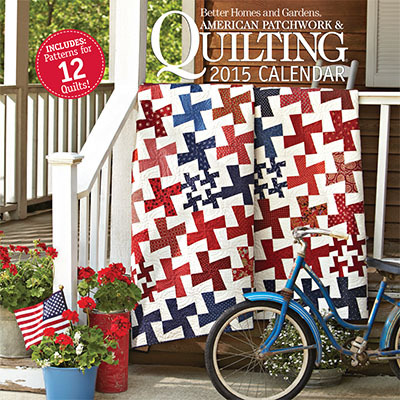 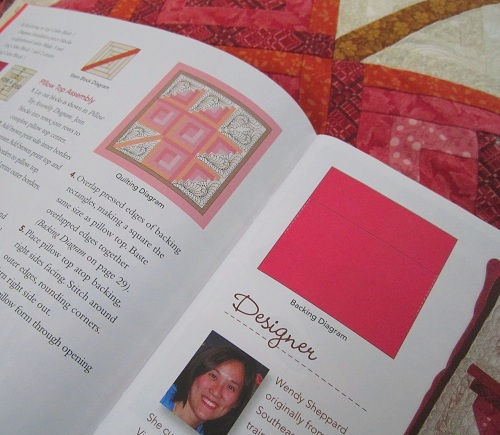 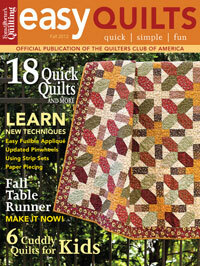 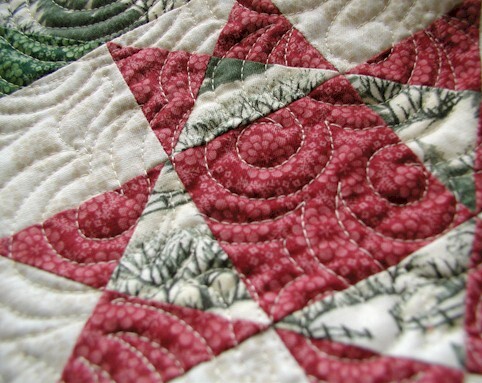 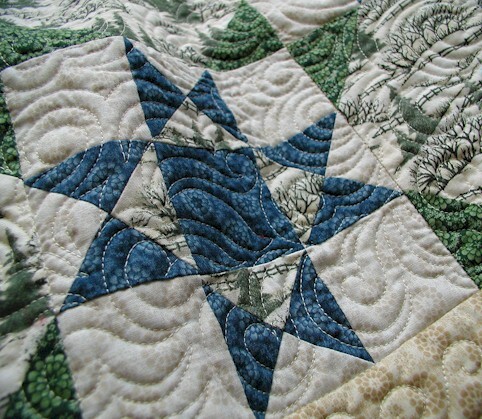 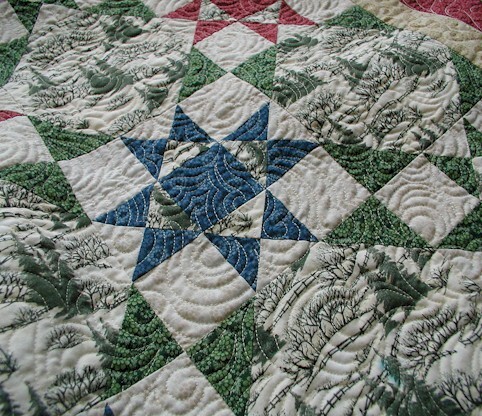 The quilting scheme for the red pillow is shown in the magazine. 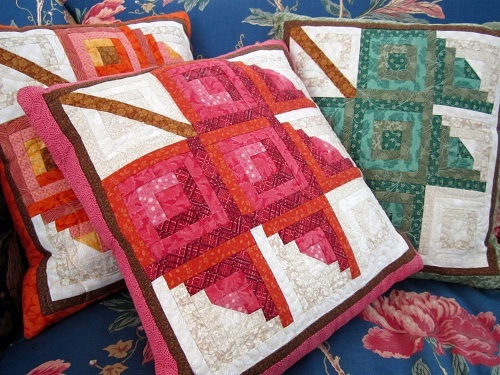 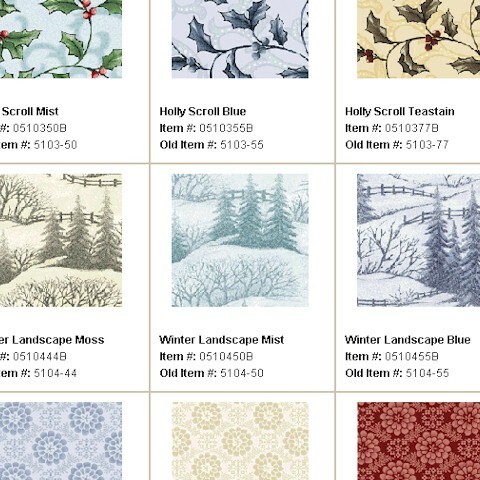 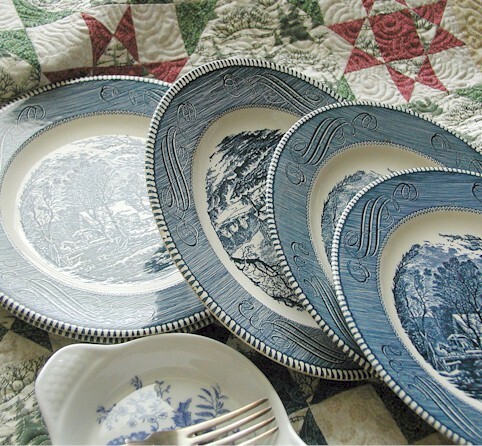 The pillow inserts I used are from Fairfield’s Poly-fil Home Elegance collection. 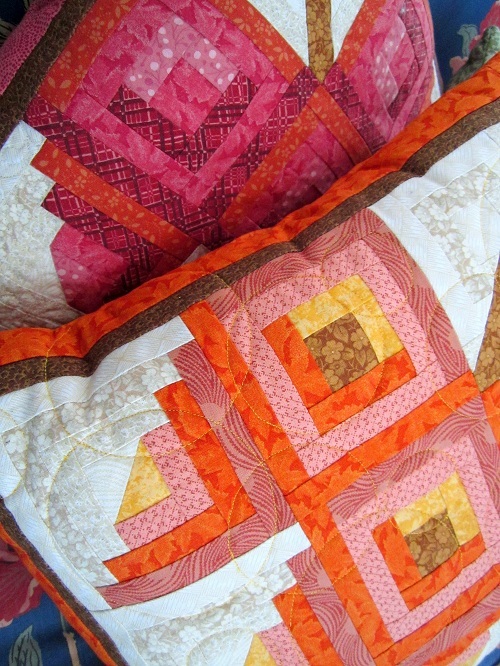 I am super happy with how they feel and make my pillows look. 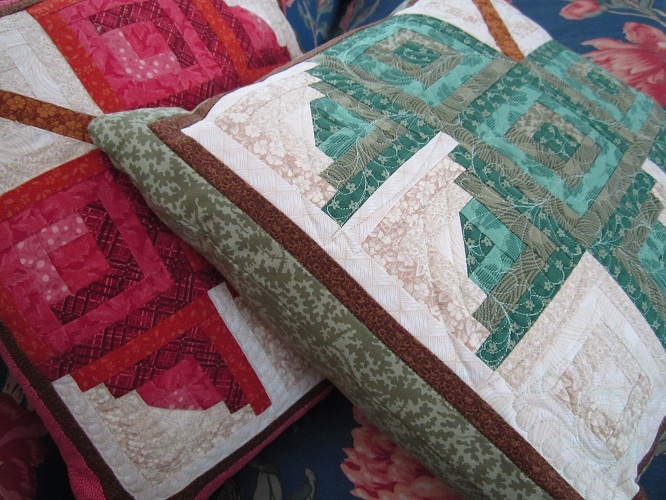 You can click here to read more about these pillow inserts. 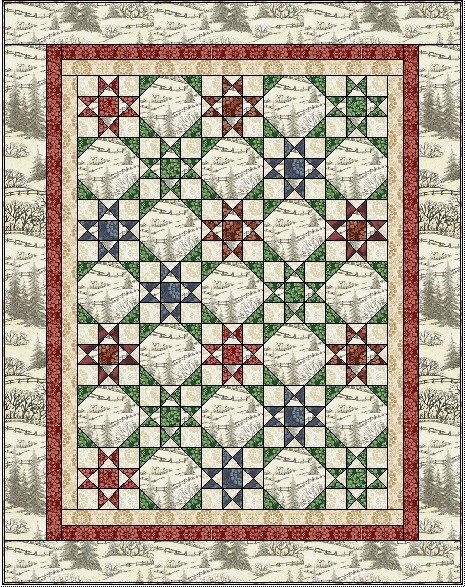 I hope you have enjoyed my attempt to interpret the Log Cabin blocks from a home decor point of view. 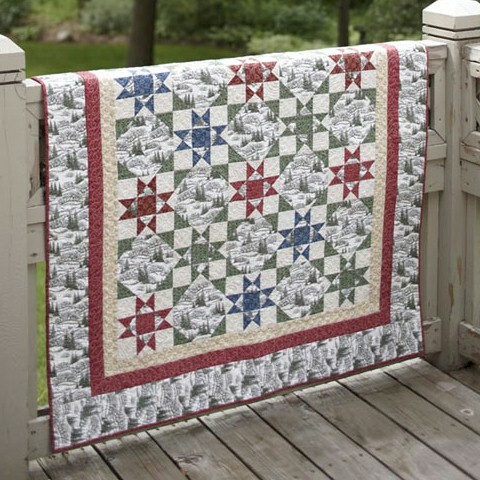 Now curious mind wants to know if you are a Log Cabin fan. 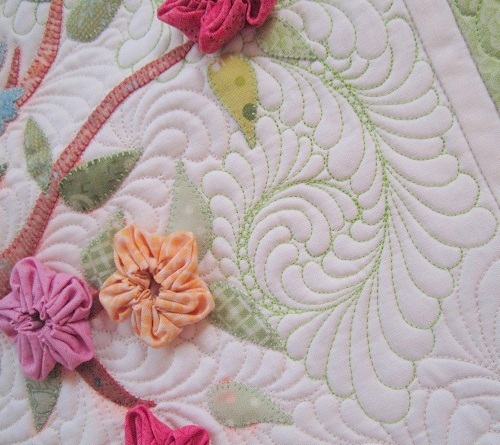 Thanks for stopping by, and have a fabulous day!